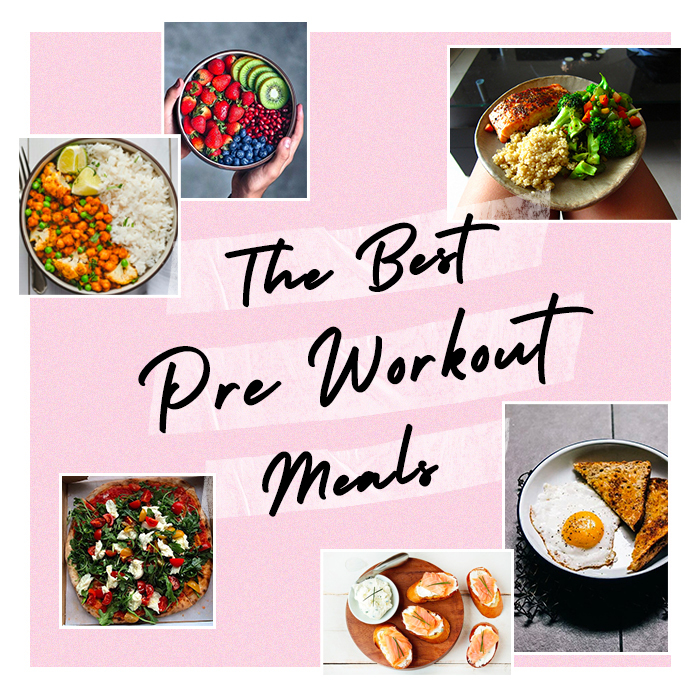 Depending on whether you are lifting weights for that toned body or working on your cardio to improve your fitness, having a good pre-workout meal can really make a difference to your performance during a workout and help you achieve your goals. Understanding your food is important, period. The 3 main macronutrients (you may have heard the word ‘macros’) are protein, fats and carbohydrates which are all necessary in our diet to keep us fit and healthy! Carbs having an ingredient called glucose which our beautiful bodies love to use for fuel. Protein is perfect for building and repairing muscles and great to reduce soreness after hitting leg day. Fats do a fab job of keeping our hearts healthy and lowering cholesterol. Unsaturated are best so opt for salmon, olives, avocados (yum!) and nuts. Fats are not the enemy girl, they help prevent cravings us girls get around that time of the month and taste amazing all whilst still helping you reach your goals. If you’re about to do some cardio, you want to avoid a super heavy meal as nobody likes to get the dreaded stitch 5 minutes into their run. Something super quick like this that is high in protein, carbohydrates and some fats is perfect to have 20 – 30 minutes before. A concoction of fruit is great to have when you don’t want to cook but need a little something before you start doing some cardio. Keep it varied, try exotic juicy fruits like watermelon this is very low in calories and pretty filling as its around 92% water! Not only are you getting your carbs whilst staying hydrated but also getting natural vitamins too. Carbs, carbs, carbs = high energy! Lifting weights is hard right, especially if you’re going in heavy, so having a good amount of carbs before your workout will give you the energy you need to power through your session. Believe it or not but porridge has all 3 of the macronutrients I mentioned earlier! A slice of toast with half an avocado provides carbs and healthy fats which are both a good energy source. Whilst our bodies favour carbs for fuel, fats can also be used for fuel. Aren’t our bodies clever! I love making omelette, it’s so easy to make, mega filling and gives me all the goodness I need. Here’s why… whilst eggs provide you with the protein and healthy fats along with mushrooms, the spinach is full of vitamins keeping your skin glowing, hair luscious, and bones strong. You’ve heard of Popeye, right? A little tip from a friend to a friend: Check the ingredients part of your food to get more of an understanding of what’s in it. This will outline protein, carbs, fats, sugars and more. Over time you will boss it and become a pro at knowing what will help you be the healthiest you! Now go slay girl!